A huge thanks to Family Christian for hosting and sponsoring this giveaway. All opinions are 100% my own. When I was 17 years old I made a New Years Resolution that I actually kept...I resolved to listen solely to Christian music for the entire coming year. Not only did I keep it for that year, but continued on through the next. I did eventually reintroduce some secular music into my music selection but there were two things that this experience taught me. First and foremost, I discovered just how much a simple act of changing your choice of music could impact your relationship with God. I grew closer to Him than ever before. I have always felt that singing worship music was a great form of prayer for me, and naturally when you 'pray more', you grow closer. Of course, it could also have been the lack of negative messages that are often heard in many secular songs. Regardless the reason, it was a great experience for me. Secondly, I discovered that there are some amazing Christian artists out there. By limiting my music selection, I found myself broadening my limited knowledge of the genre to find more and more artists...and I certainly discovered some great ones. I learned that there were Christian artists to fit every possible musical genre I could possibly be interested in- from gospel to rock to pop and of course, worship. As I said, I have long since reintroduced secular music back into my music library, but even now I still find myself most drawn to Christian music. Want to grow closer to God this year? 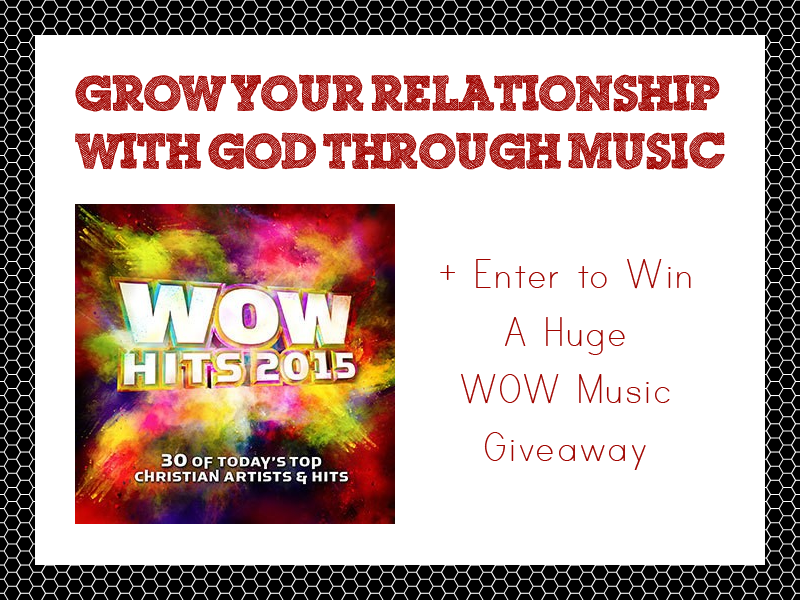 Why not try introducing yourself to more Christian music? You don't have to give up secular music entirely as I did...perhaps you'll only listen to it while fighting morning traffic or doing housework. Even in small amounts, the difference can be astounding. I would love any of Beverly Lewis' recent books. Good choice! I have heard great things about these...need to add them to my wishlist as well! Fabulous choice! I love all the music selections available as well! Thank you so much!! Glad you stopped by! I'd really like one of the young girls bible studies! I do them with my girls and sister in laws. Anything from Switchfoot would be great! I want the book On-the-go Prayers. I would love to have the All Occasion Glitter Paper Stack!